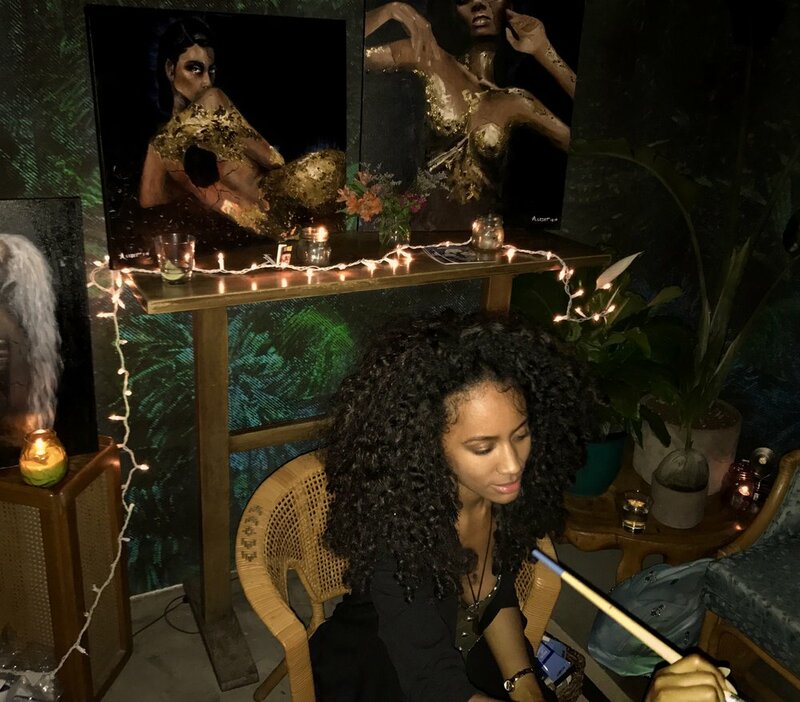 Amber Ledet is a self-taught oil painter & watercolor artist who strives to capture the spiritual and sensual essence of women of color in her work. Amber's paintings tell a story of triumph and serenity and has graced the walls of various exhibits around Los Angeles. She is also Creative Director for Pick It Up LA and an instructor. Pick It Up LA will be hosting various styles of painting sessions the last Thursday of every month at West Elm in DTLA.